With Sincere Heartfelt Sympathy & Deepest Condolences to Lion Nancy Soh & family on the demise of her beloved father Mr. Joseph Soh 31 October 2010. 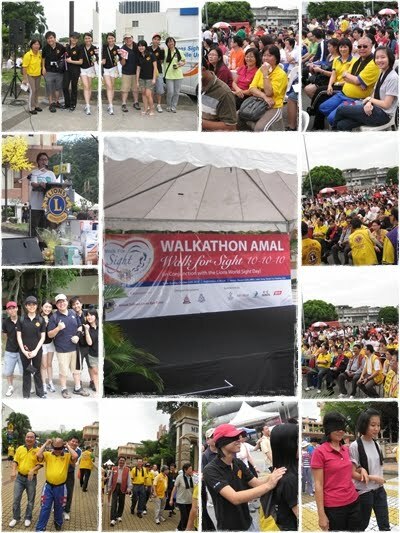 Attended by OC Chwee Chin, President Lynda, members Josephine, Yvonne, Katherine, Jennifer & Jessie from 11.45 am – 12.30 pm. 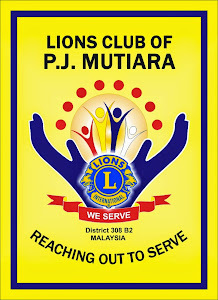 Club’s budget of RM200 used to purchase the assorted “yong tau foo” by Lion Kat for lunch, while Lion Jo assisted in purchasing a few packet of pre-packed herbal soup & large packet of mee hoon as per their request. Other donations included ; 10 kilo rice, some coloring sheets & used children clothes from Lion Jessie, 10 kilo rice from Lion Kat, Instant noodles, mee suah, chilli powder, gula Melaka from Lion Yvonne, 10 kilo brown rice, 2 tins Jacob biscuits & a table salt lamp from OC Chwee Chin and some soft toys from OC’s friends. Members arrived at 11.45 am with the intention of serving lunch for the children, however, the Secretary of the Home Mr. Ten Yen Han informed that the children already had lunch as there had an unavoidable impromptu visit from another group from the temple. Currently the home has 15 children ranging from age 5 to 27 years, of which 6 are boys. They are either autistic, down syndrome, physically deformed or mentally retarded and all the children sleep downstairs taken care by 4 caretakers. Monthly expenses are about RM11,000 of which RM1,300 is for rental and RM4,800 for salary of the 4 caretakers at RM1200 each, while the rest are for the utility and other expenses for the daily running of the home.